One of the visual themes for Georgia Blue for the past couple of years has been their iconic colored wood tables. The tables are custom made for their restaurants, and they perfectly symbolize the brand's colorfulness and playfulness. However, it was a bit of a challenge to figure the best way to use that style on a vehicle wrap. 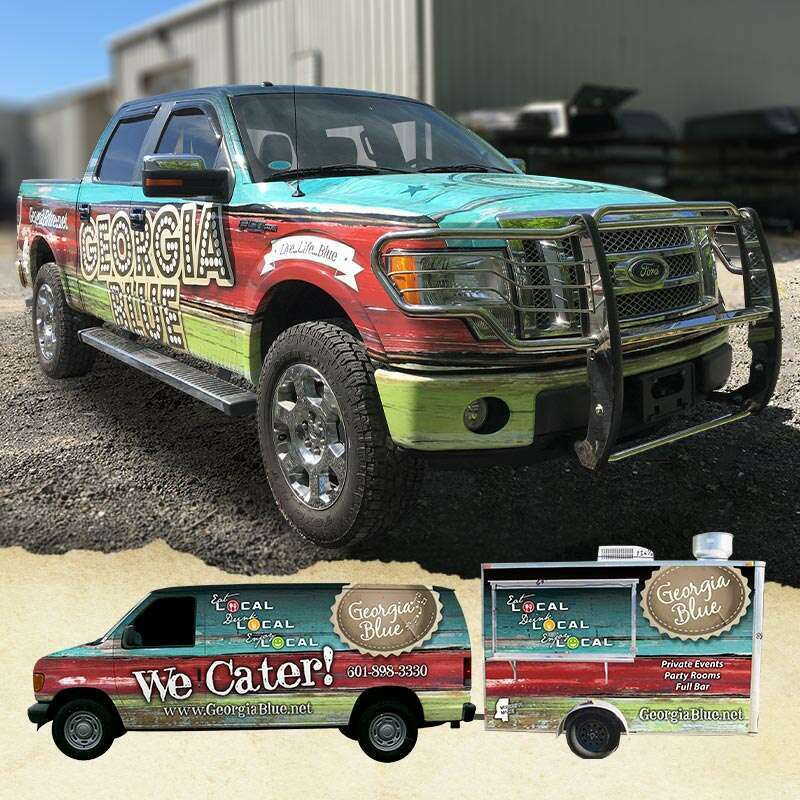 The end result is a fleet of catering vehicles that you simple can't ignore if they pass you on the highway!